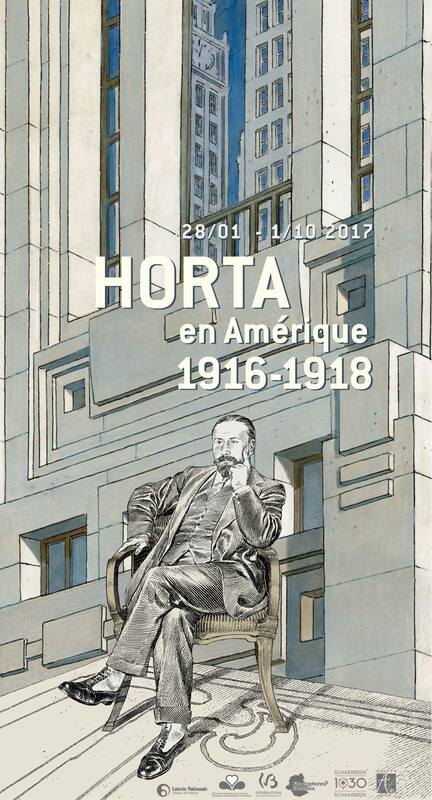 Horta en Amérique is an exhibition in Maison Autrique from January 28 to October 1, 2017. Exiled in the United States during World War I, Victor Horta and his wife discover the excessiveness of American nature and architecture. His way of conceiving architectural designs are turned upside-down. The announcement poster is made by François Schuiten.